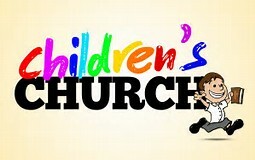 There are great things happening in our Children Church! We are working very diligently to get our children involve in sharing the gospel through drama. These are our leaders of tomorrow and we want to make sure that we provide them with foundational truths to be successful in the Kingdom. We believe in the power of prayer, praise and worship even for our children. The children are keeping a prayer journal and we invite the parents to view what they are writing in them at anytime. We believe this prayer journal will help and encourage them to P.R.A.Y - Pray, Repent, Ask, and Yield. We are also teaching them what it means to praise God and help them recognize that they are not too young to live a holy life. My vision is to see the children totally sold out for God with a full understanding of who God is and who they are in God.